Sometimes all you want in a country record is for an artist to be true to its roots, be totally in control of the sincerity, and surface at the end of it free of any superficial trappings. If you can drop the needle, or press the play button, and then experience a moment of unfiltered connectivity, the album has met one of the recording objectives, in fact the most important one from a listener perspective. 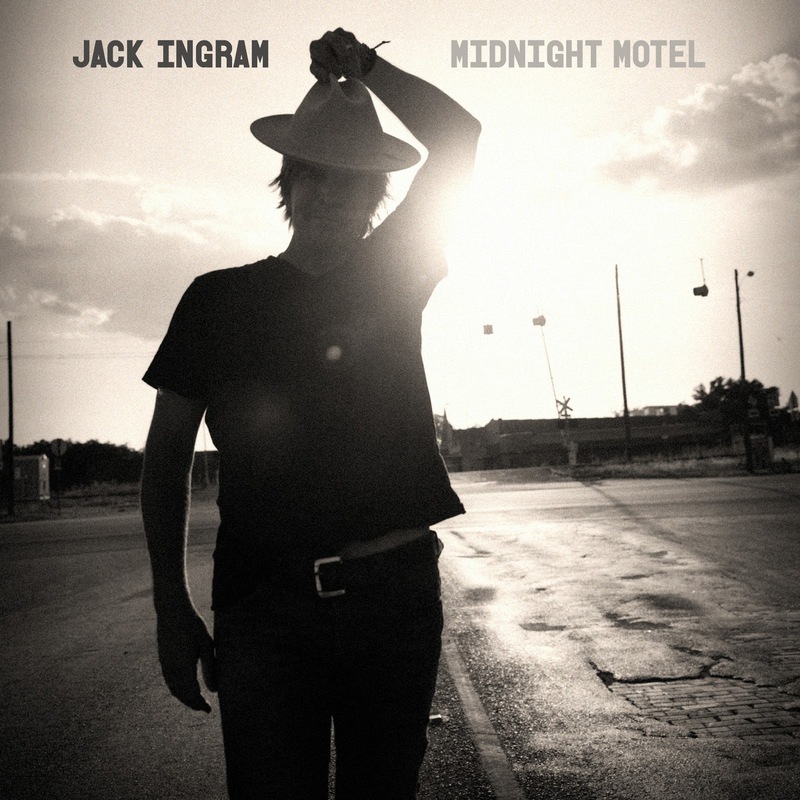 Total immersion into MIDNIGHT MOTEL, the new release by Jack Ingram, will leave this very impression and most of all present a satisfied artist at peace with the art being created. 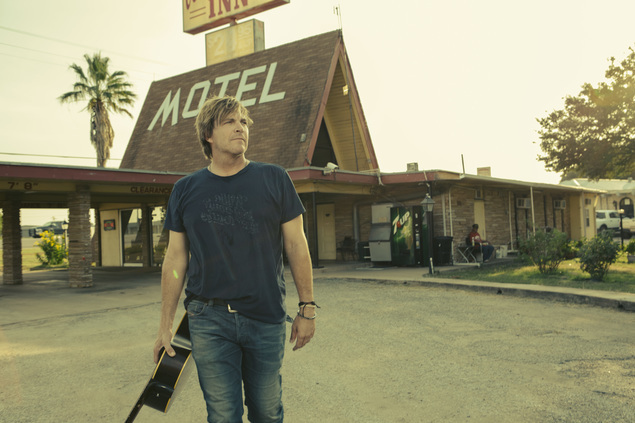 Belief in Jack Ingram – the singer-songwriter – is another prime guarantee from interacting with this record. MIDNIGHT MOTEL is Jack’s first foray into the recording world since his association with Big Machine Records ended, now over half a decade ago. This brought the curtain down on a phase of his career which heralded hit records and industry awards. It was probably the culmination of many years hard work for this experienced Texan and also at a moment when mainstream country music was heading in a different direction to the ideals of Jack. Now working with established eclectic American music label Rounder Records, a free hand has been given and a highly personal back to roots bunch of songs have arisen. Most are from the pen of Jack, some in esteemed collaboration and it has been interesting comparing the songs of alternative origins. The core structure of the album is eleven songs, joined by a spoken narrative piece and a not so unlucky thirteenth track being an acoustic version of the opening number ‘Old Motel’. The sound is sprinkled with outtake chat and occasional irreverent comments giving the record a sense of reality born out of the natural recording environment afforded the production process. Frequently this was just Jack and a trusty acoustic guitar, allowing the sense of utmost authenticity to radiant from musician to listener. Quintessentially this is an artist in classic troubadour mode, spanning the country-folk blurred divide and spinning the staple sound of the iconic Texas singer-songwriter. During one of the muttered moments, the names of Hayes Carll, Todd Snider, Bruce and Charlie Robison are recalled for starters and the effect of MIDNIGHT MOTEL can lift Jack Ingram into this company. Outside of Jack’s writing circle, a couple of songs have been selected including the previously mentioned twangy opening track penned by Blu Sanders, and a Will Kimbrough composition in ‘Champion of the World’. This proves a good choice and one previously recorded by Little Feat. However my nominees for album stand out song come from five picks that epitomise the strength of the record. These include two staple country titles and themes in ‘I Feel Like Drinking Tonight’ and ‘I’m Drinking Through It’. Dismiss country clichés and stereotypes as both songs work well. The first sees Jack excelling in the solo write and perform process, while the second sees him hook up with stellar Nashville songwriters Liz Rose and Lori McKenna. In fact the latter’s influence is there to such a degree that auditory visions of her super cut ‘Humble and Kind’ can be detected. The five are completed by a 70s style rocker complete with vivid keys and appearing Bruce Robison on guest vocals, ‘Can’t Get Any Better Than This’, another super solo piece in the emotive ‘Trying’ and an immensely interesting story song titled ‘Blaine’s Ferris Wheel’. The narrative piece that preluded the song gave full background to this real life character. MIDNIGHT MOTEL took its inspiration from the road weariness which forms the life of a travelling musician and the hour so often referred to as the most creative one by many song writers. The album took its US bow in the summer to widespread acclaim, surely to be replicated when the UK can grab this record from October 14th. Additionally, Jack will visit London in December as part of the Texas Music Takeover project with promotion of this album certain to be top of the agenda. This album succeeds in portraying the honest thoughts of one man seeking refuge in the sanctuary of song. Its meaty content provides the substance and the story telling model is pulled off to a tee. Ultimately MIDNIGHT MOTEL makes that artist-listener connection and Jack Ingram is well set to thrive in the next phase of an already successful career.